If you’re looking for a way to draw people’s eyes excitedly toward your crotch, this might be just what you need. 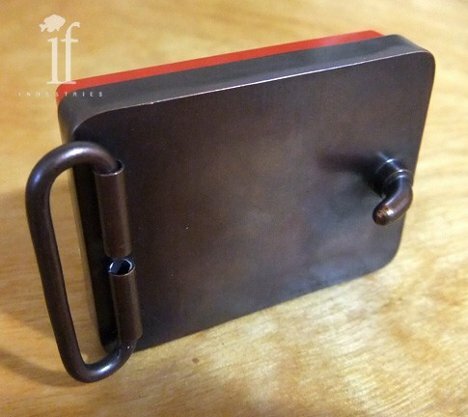 The Playtime Belt Buckle from Etsy seller if Industries is a fully-functional tiny Etch-A-Sketch attached to a custom copper belt buckle base. The functional belt buckle lets friends, well-wishers and total strangers fiddle with the little knobs just centimeters from your junk. 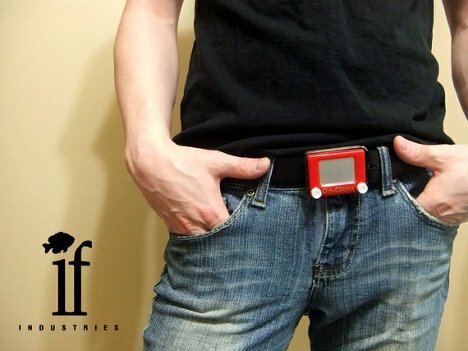 Presumably, you could wear the belt upside down so you could play with the drawing toy yourself. Although the original from if Industries has already sold, maybe the idea can provide some inspiration to brave DIYers. The silly (but completely awesome) belt buckle could probably even be made with other miniature interactive toys.